Want to create your own herbal blends for infusions or baths? 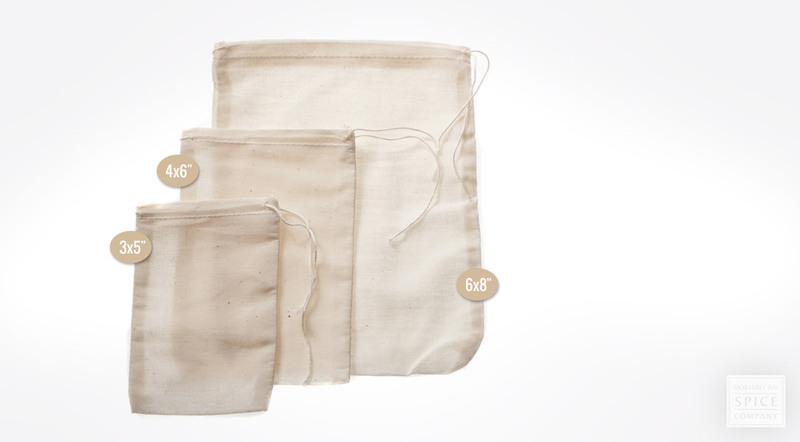 Re-usable muslin herb bags in several sizes are available from the Monterey Bay Spice Company. These 100% cotton muslin drawstring bags are available in 3 x 5, 4 x 6 and 6 x 8 inch sizes. Use them for potpourri or for an impromptu sachet. The bags may be brewed with and then emptied, washed, dried and re-used. When brewing and infusing, be sure to under fill the herb bag in order to accommodate the expansion of dried herbs when soaked.